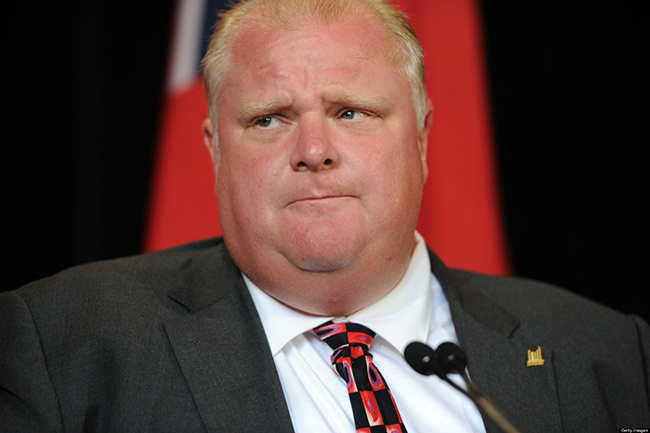 We all knew around here Toronto Mayor Rob Ford was in trouble when even dog-loyal right wing newspapers like the Toronto Sun and National Post began — in very modest tones — suggesting that the confirmed crack smoker was probably not a good leader of North America’s fourth biggest city right now. Through it all, though, there was one acquaintance of Sarah’s who maintained a steadfast if often self-aware and trollish support for the mayor — UFC fighter Claude Patrick. As such, Sarah talked to Patrick about Ford for Fightland. To read the article go here.